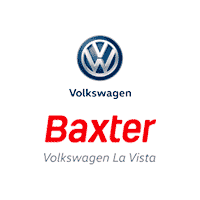 if you’re looking to save on a sleek new Volkswagen, the team at Baxter Volkswagen La Vista is excited to help you drive home in a new VW thanks to the Volkswagen Partner Program. This one-of-a-kind program allows current employees and retirees of eligible companies — in addition to their immediate family members who reside in the same households — the chance to save $500 on a new Volkswagen. * Want to learn more about this enticing opportunity? Contact our Volkswagen dealership near Omaha, NE, or stop by and speak with one of our VW sales or finance team members. Discover if you and your family members qualify for the VW Partner Program. Search “Our Partner” to find out if your organization is a part of this program. Then, make your way to our Greater Omaha dealership to claim this incentive today!